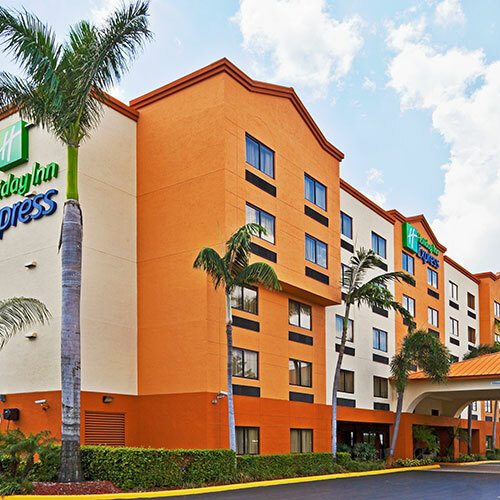 Conveniently situated just off of I-595 and not far from the airport, this hotel offers comfortable and spacious rooms. The pool area behind the hotel is relatively small, but attractively designed. A shuttle is available to take you to and from the airport and Port Everglades, but ask the front desk for schedules and fees. Smoke free premises. 77 units. 5 stories, interior corridors. Accessibility (Call). I-595 exit 7 (Davie Rd), just w to Davie Rd, then just s. 2540 Davie Rd 33317.
valet and coin laundry, airport transportation, area transportation-Port Everglades.